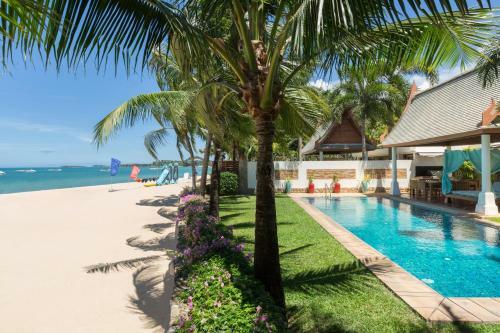 Featuring a fitness center and barbecue facilities, Miskawaan Villa Acacia offers accommodations in Mae Nam, 2.2 miles from Mae Nam Pier and 1.9 miles from W Retreat Samui. The villa is in an area where guests can engage in activities such as cycling and ping pong. 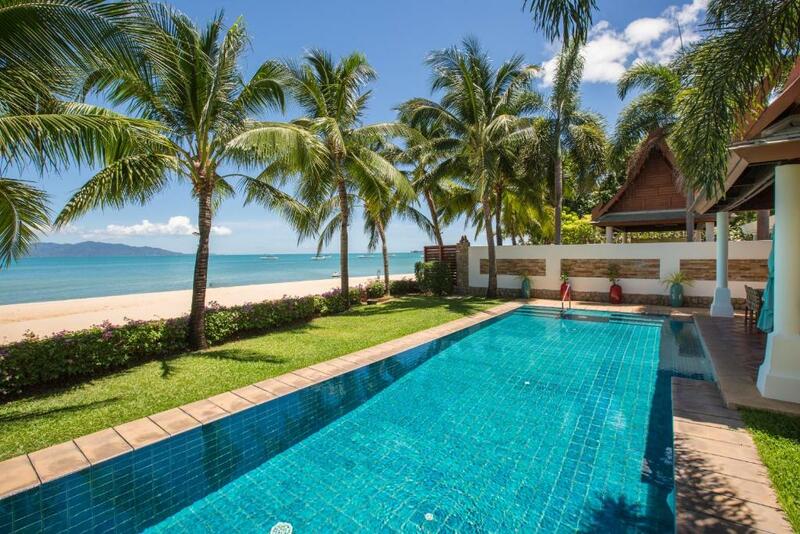 This villa with sea views has a bathroom with a bath and free toiletries. The kitchen features a dishwasher and an oven, as well as a coffee machine and an electric tea pot. The nearest airport is Samui International, 6 miles from Miskawaan Villa Acacia, and the property offers a free airport shuttle service. This is our guests' favorite part of Mae Nam, according to independent reviews. When would you like to stay at Miskawaan Villa Acacia? Acacia’s four bedrooms are carefully designed around a delightful central garden featuring a captivating tropical water feature. Alongside a well equipped private gym, at the garden’s rear is a pavilion with two twin bedrooms, each with its own stylish bathroom. Acacia’s charming water feature separates the villa’s double bedroom from a spacious pavilion containing a modern kitchen, a dining room with seating for 12, a lounge room and a fully-equipped media room with overhead projector and drop-down screen. The Master Bedroom is located in a separate pavilion at the very front enjoying spectacular views of the beach and Koh Phan Ngan The villa enjoys 22m of beachfront, its blue-tiled swimming pool perfectly positioned amid lawns commanding superb views of the beach and turquoise waters beyond. House Rules Miskawaan Villa Acacia takes special requests – add in the next step! Miskawaan Villa Acacia accepts these cards and reserves the right to temporarily hold an amount prior to arrival. Please inform Miskawaan Villa Acacia of your expected arrival time in advance. You can use the Special Requests box when booking, or contact the property directly using the contact details in your confirmation. We need at least 5 reviews before we can calculate a review score. If you book and review your stay, you can help Miskawaan Villa Acacia meet this goal.